The Center for Beta Cell Therapy in Diabetes, coordinator of an international consortium in translational medicine in diabetes, and ViaCyte, Inc., a privately held regenerative medicine company, today announced that a human stem cell-derived product candidate has been implanted in type 1 diabetes patients at a subtherapeutic dose. These are the first patients in Europe to receive PEC-Direct, an encapsulated pancreatic progenitor cell product candidate designed to replace lost insulin-producing beta cells and restore blood glucose control for type 1 diabetes patients who fulfill entry criteria for a beta cell replacement therapy. In preclinical models, implants of PEC-Direct (also known as VC-02) are capable of forming a functional beta cell mass that controls blood glucose levels. This potential is now being examined in the first European clinical trial with type 1 diabetes patients who have lost blood glucose control due to beta cell loss in the pancreas. For this patient population, a beta cell replacement therapy, like PEC-Direct, can potentially provide a functional cure. This work complements clinical evaluation of PEC-Direct that is underway in North America. During the first phase of the European trial, implants will be evaluated for their ability to form beta cells; the second phase will examine their capacity to produce systemic levels of insulin that establish glucose control. The implantation in these first European patients is a major step in the development of a cell therapy for type 1 diabetes. The implantation was performed at UZ Brussel, the University Hospital of Vrije Universiteit Brussel (VUB) with the PEC-Direct product candidate from ViaCyte. The clinical trial, and associated preclinical studies in Europe, are undertaken by the Beta Cell Therapy Consortium, with support of a Horizon 2020 grant from the European Commission. The consortium is composed of clinical, industrial, and research teams at VUB, ViaCyte, San Raffaele Hospital Diabetes Research Institute in Milan, Nestlé Institute of Health Sciences in Lausanne, the University Medical Center in Leiden, and Institut du Cerveau et de la Moelle Epinière in Paris. Each contributes complementary expertise to the objective of developing a cell therapy with the potential to cure type 1 diabetes. Type 1 diabetes can appear at any age but is the major form of diabetes diagnosed under age 40. Patients with type 1 disease can no longer produce insulin and therefore become life-long dependent on daily insulin administration. Treatment with such exogenous insulin does not eliminate the risks for complications, some potentially life-threatening. The disease also has a significant impact on quality of life. Beta cell implants prepared from human donor pancreases can restore endogenous insulin production and glucose control, but shortage of human donor organs limits implementation of this form of cell therapy. Human pluripotent stem cells may overcome these limitations as they represent a potential large-scale cell source that can be differentiated into pancreatic cells in the laboratory under highly controlled conditions. The Center for Beta Cell Therapy in Diabetes is a coordination core for studies and interventions that aim development of prevention and cure of type 1 diabetes. The objective of the projects is to preserve or to replace a functional beta cell mass that can achieve long-term metabolic control in patients. They are undertaken by an international consortium with partners from research institutions, university hospitals, and bio-industry. Since its inception in 2002, the Center and its consortium have received support from the European Union through the FP6, FP7, and Horizon 2020 programs, from JDRF (formerly known as the Juvenile Diabetes Research Foundation) and from Flanders Innovation & Entrepreneurship. The Center is based on the Medical Campus of Vrije Universiteit Brussel. For the present program on stem cell-derived implants in diabetes, it coordinates activities by consortium partners in Brussels (UZBrussel and VUB), San Diego (ViaCyte), Milan (San Raffaele Hospital Diabetes Research Institute), Lausanne (Nestlé Institute of Health Sciences), Leiden (the University Medical Center), and Paris (Institut du Cerveau et de la Moelle Epinière). For more information, please visit www.betacelltherapy.org. ViaCyte is a privately-held regenerative medicine company developing novel cell replacement therapies as potential long-term diabetes treatments to achieve glucose control targets and reduce the risk of hypoglycemia and diabetes-related complications. ViaCyte’s product candidates are based on the derivation of pancreatic progenitor cells from stem cells, which are then implanted in durable and retrievable cell delivery devices. Once implanted and matured, these cells are designed to secrete insulin and other pancreatic hormones in response to blood glucose levels. ViaCyte has two product candidates in clinical-stage development. The PEC-Direct™ product candidate delivers the pancreatic progenitor cells in a non-immunoprotective device and is being developed for type 1 diabetes patients who have hypoglycemia unawareness, extreme glycemic lability, and/or recurrent severe hypoglycemic episodes. The PEC-Encap™ (also known as VC-01) product candidate delivers the same pancreatic progenitor cells in an immunoprotective device and is being developed for all patients with diabetes, type 1 and type 2, who use insulin. 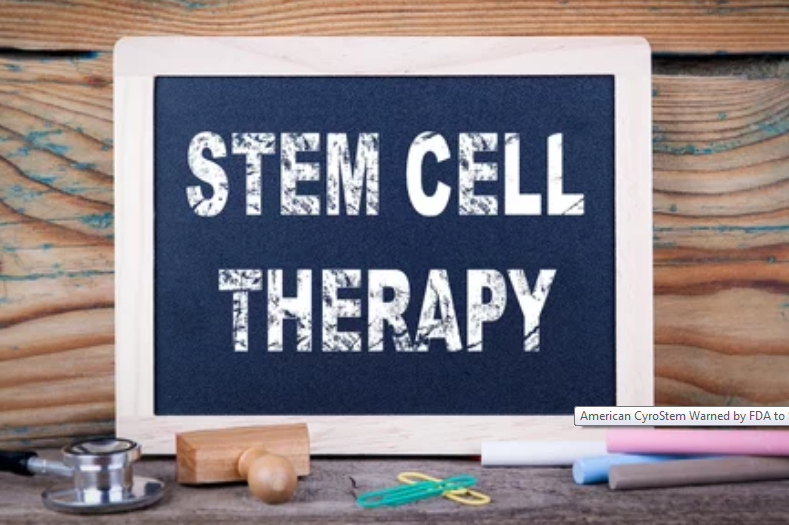 ViaCyte is also developing immune-evasive stem cell lines in collaboration with CRISPR Therapeutics, from its proprietary CyT49 cell line, which have the potential to further broaden the availability of cell therapy for diabetes and other indications. ViaCyte is headquartered in San Diego, California. The Company is funded in part by the California Institute for Regenerative Medicine (CIRM) and JDRF. For more information, please visit www.viacyte.com.